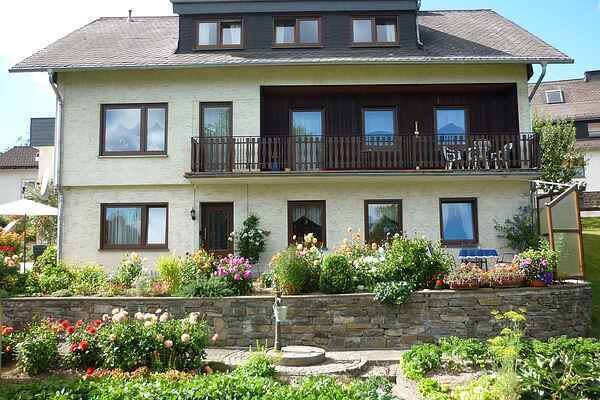 The cosy and modern furnished holiday home is located in a quiet hillside in the Sauerland region. You will arrive at your home using an external staircase at ground level with a separate external entrance. Your own terrace and a cosy stove guarantee a relaxing holiday right on the edge of the forest. The wonderful landscape is idea for a range of sporting activities such as Nordic walking (a course is available on location). For fans of hiking, there are plenty of well-signposted paths in this area (e.g. the Rothaarsteig). In winter, you can use the 200 m ski lift located just 1 km from the apartment. Outings in the surrounding area include the Free Life Park Medebach with a subtropical swim paradise (11km), the Freilichttheater Hallenberg (6 km), Edersee (approx. 25 km). - Nordic-Walking sticks can be rented from the house owner for 3 per day per person. - Cross country ski and normal ski equipment can be rented in town.